Need space for your business items? Storage Authority offers Commercial Storage and with Storage Authority’s 24/7 access you can get your business materials at any time. Day or Night! No one should be told when they can do business! Need extra space for all your business papers and folders? Want to keep all your business items together and easily accessible? With Storage Authority’s commercial storage, you keep the only key for your unit so there’s no fear your items will go missing. In addition, you can add shelves to your units to easily organize all your documents. Storage Authority does not allow any nails or screws to be drilled into the wall of ceilings of the units. Need to organize your retail items before they hit your shelves? With our secure location you can access your commercial storage items at any time and get to them when you need them. The facility is never closed. Therefore you can always access your storage. We understand that the construction business can be a very long and tiring day. Want to start working the moment the sun is up? 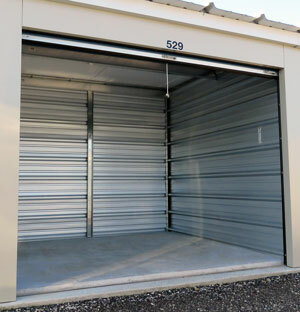 At Storage Authority you can get to your commercial storage unit before the sun is up and grab all your materials. Working late into the evening? Not a problem at Storage Authority. When your done, you can lock up your materials at any time. We’ll never tell you its too late or too early to do your job! At Storage Authority, we won’t charge you security deposits or administrative fees. Therefore, we only take the 1st month’s rent at the time you sign your lease agreement! With Storage Authority you have the power to manage your own account online 24 hours a day. It’s FREE and EASY to use! Additionally, you’ll be able to make online payments, update your contact information, set up autopay, view past payment history and print past receipts. Managing your own account is important and keeping up with new contact information assures that we can get ahold of you if need be. So, if you have questions regarding this online account management, our Site Manager would be happy to help with any questions you may have.